24By7Security is on the Top 20 Best CISO Blogs on the Planet! February 4, 2019: We have received the honor of being #12 among the Top 20 security blogs ranked by Feedspot! We thank Feedspot for commending our blog as actively working to educate, inspire, and empower their readers with frequent updates and high-quality information. The blogs were ranked based on Google reputation and Google search ranking, Influence and popularity on Facebook, twitter and other social media sites, Quality and consistency of posts and Feedspot’s editorial team and expert review. Read the full article HERE. We have been featured among the Top 10 most trusted Healthcare IT Security Solution providers of 2018 by the Insights Care magazine. According to Insights Care, "Healthcare has witnessed extensive digitization in the recent years. Although this has remarkably transformed the services in healthcare, it comes with a challenging side-effect: risk of information security. Healthcare has been one of the prime targets for cybercriminals; and with the healthcare data being very sensitive in nature, this is a major concern. It is of immense significance that the healthcare companies be aware and implement the best practices to secure the information of their patients as well as the organization. 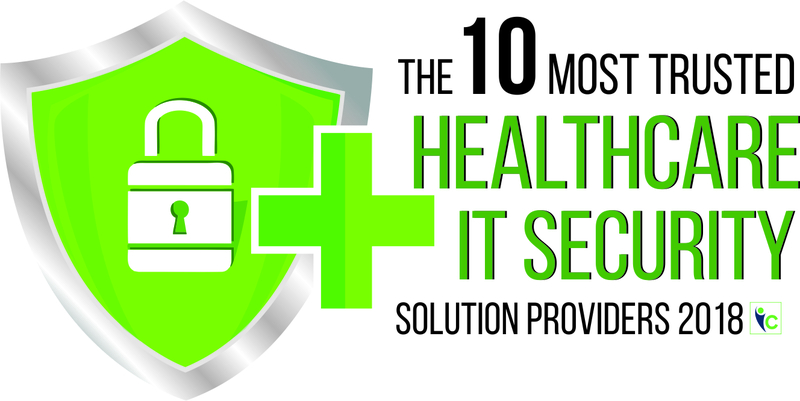 With the impending risk in the mind, to assist healthcare organizations to prevent data security breaches, we bring you the “The 10 Most Trusted Healthcare IT Security Solution Providers” issue. In this issue, we are presenting to you some of the prominent companies and healthcare solution providers, who have successfully helped the industry to protect the patients’ information and other critical healthcare data against the ever-rising cyber-attacks." For the article featuring 24By7Security, read HERE. For the full listing, read HERE. In the past 12 months, his company launched four new Readiness Services to help businesses effectively address new and modified legislation, as well as a trail-blazing framework for cybersecurity incident response planning, user training and testing, and plan implementation. The firm also developed CISO Councils in South Florida, Orlando and Tampa, and launched an innovative HIPAA Happenings series to promote convenient information sharing among Chief Information Security Officers and healthcare professionals respectively.In another innovation, 24By7Security launched a Next-Generation Education initiative in which the firm works with several universities in South Florida to raise awareness of cybersecurity and social media use risks among high school and college students. Coral Springs, Fla., July 31, 2018 - We are so happy to be named by the Silicon Review as one of the 10 fastest growing Cybersecurity Companies of 2018! 24By7Security, Inc. is one of the companies that has pioneered on the privacy and security implications of the assets of an enterprise. The company believes that Cyber Security needs to be priority ONE across all functions of the enterprise. 24By7Security, Inc. is a premier National Cybersecurity firm with headquarters in South Florida. The article features an interview with Sanjay Deo, President and Founder of 24By7Security, Inc. about the company and how they built the company to be one of the leading cyber security providers. "We stand apart from the rest by demonstrating a passion for excellence in everything we do”, says Sanjay Deo, as he talks about the company's story and its growth over the past 5 years. Coral Springs, Fla., April 17, 2018 / PRNewswire – 24By7Security, Inc. today announced it has won the Gold Award for Service Excellence in HIPAA Compliance Consulting, one of the primary compliance services the firm provides in addition to Cybersecurity services. The firm also won the Silver Award for Best Security Company in the Company Growth category and a Bronze Award in the Company Milestone category. 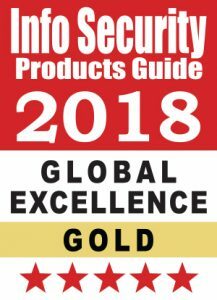 Sponsored by the Information Security Products Guide, the awards were presented on April 16, 2018, in San Francisco. 24By7Security has conducted more than 300 Security and Privacy Risk Assessments in its five-year history, a milestone not many young security companies have achieved. The firm’s Assessments are driven by the most stringent regulations and security frameworks in the U.S. to ensure that clients receive the very highest value from their security investment. Sanjay Deo is a respected expert in cybersecurity, network security and information security in the vibrant South Florida healthcare and information technology communities. Mr. Deo and his team bring to each client engagement the benefits of more than 100 years of experience as well as numerous security certifications, including Certified Information Security Systems Professional (CISSP), Certified Information Systems Auditor (CISA), Certified Information Systems Manager (CISM), Certified Ethical Hacker (CEH) and Health Care Information Security and Privacy Practitioner (HCISPP). Coral Springs, Fla., December 11, 2017 / PRUnderground – 24By7Security, Inc., a well-known Cybersecurity and Compliance services provider has been announced as part of the Top 10 Healthcare IT Security Solution Providers for 2017, in the list published by Healthcare Tech Outlook magazine. The publication recognizes pioneering steps taken by 24By7Security, Inc. in the Cybersecurity and Compliance areas for healthcare, and the work done by the company in assessing and assisting build HIPAA-compliant IT infrastructure to help protect healthcare entities from Cybersecurity threats. The article quotes Sanjay Deo, President of 24By7Security, Inc. in the overall process and recommendations that the company follows in completing HIPAA risk assessments, and in designing actionable programs after an in-depth analysis of the customer’s infrastructure, location of data, policies and processes. “The healthcare industry is particularly susceptible to Cybersecurity threats and compliance requirements. We are pleased with this significant honor,” says Rema Deo, Managing Director of 24By7Security, Inc. 24By7Security, Inc. has been in business for over 4 years now, and we attribute the company’s success to a small but well credentialed and experienced team of Cybersecurity and Compliance specialists. The company has not only made a mark in healthcare but has also expanded its reach to other industries such as finance, retail, hospitality and others.